This is a beautiful load of Knoll Reff, L-Shape desk sets. Each desk comes in a cherry veneer finish and can come equipped either left handed or right handed to fit into your space. 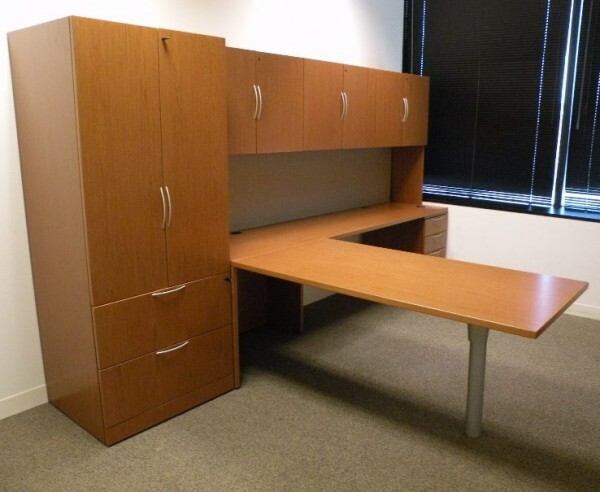 Each used desk comes with over head storage and a lateral file storage closet. These are very rare and turn any office into a high profile executive suite while maintaining a budget. Call or email us today.